This home has seen many renovations over the past 5 years including new fibreglass roof shingles (2012-2014), new gutters and fascia, new hot water tank, new furnace, insulation, paint, flooring, fixtures, mouldings and much MUCH more! The practical 4-level split is the ultimate layout for those who require two separate living spaces with plenty of storage in the basement. The house sits on a fenced corner lot with a private yard. The yard has a beautiful back deck, patio and a great view of Hudson Bay Mountain. 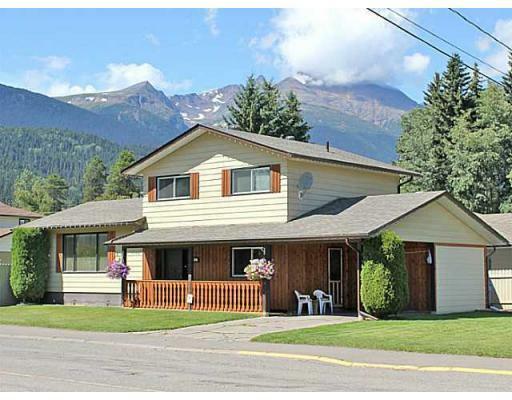 The location is within walking distance to schools, playgrounds, trails, golf course and the Smithers Rec Centre. The back of the carport has been transformed into a useable shop space. RV parking. Must see!